It took awhile, but finally rookie QB Blaine Gabbert and RB Maurice Jones-Drew finally got the Jags moving against their rival the Colts. 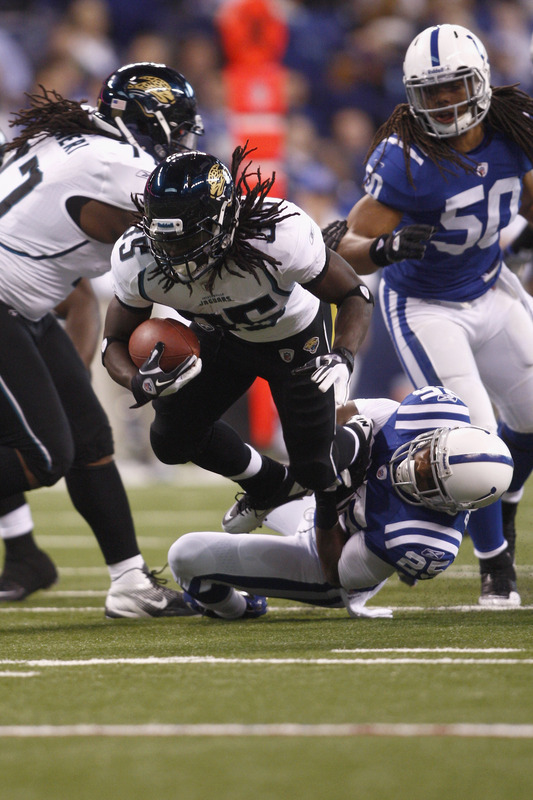 In the end, it was enough for the Jags to earn their 3rd win of 2011, topping the Colts 17-3 and keeping them winless at 0-10 for the year. The rookie quarterback threw for a touchdown, while Jones-Drew ran for another, helping a Jags offense that didn’t do much for a decent portion of the afternoon. For Jones-Drew, it was another banner day against his old nemesis. He carried 25 times for 114 yards, becoming the second player in franchise history to rush for 6,000 career yards — more than 1,000 of that coming against the Colts. His game-sealing 3-yard TD run capped an 8-yard scoring drive that was set up by Dan Orlovsky’s fumble. For the Colts, it was another dismal performance that had fans booing and leaving early. Indy, the NFL’s last winless team, is 0-10 for the first time since 1997. The Colts have now lost as many regular-season home games this year as they did in the previous three seasons combined and were eliminated from the AFC South title chase when Houston beat Tampa Bay 37-9. With two of the league’s worst offenses on the field, the game lived up to its inept billing. Curtis Painter and Gabbert each threw interceptions in the first five plays. Indy finished with 212 total yards; Jacksonville had 251. After rushing for 58 yards in the first quarter, the Colts finished with only 84. And of the combined 61 first-half plays, 35 went for 2 or fewer yards. Even when Painter picked up a rare first down after Jacksonville was called for a face mask penalty, he tossed his helmet to the equipment guys because it malfunctioned. So did the offenses on a brutal day under the roof in Indy. Gabbert was 14 of 21 for 118 yards with the 11-yard TD pass to Jarrett Dillard that broke a 3-3 tie late in the third quarter. Painter finished 13 of 19 for 94 yards with two interceptions before getting yanked early for the second straight week. Donald Brown led the Colts with 14 carries for 53 yards. Josh Scobee’s 45-yard field goal attempt just before halftime started right and never had a chance, and the only first-half scores came on consecutive eight-play drives — ending with Scobee’s 44-yard field goal late in the first quarter and Adam Vinatieri’s 42-yarder early in the second quarter. The Jags finally broke through in the second half thanks to, of course, a Colts mistake. 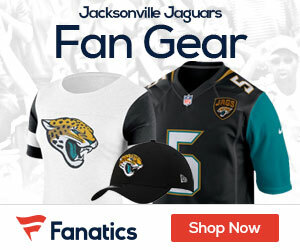 Indy appeared to have Jacksonville stopped midway through the third quarter when Robert Mathis sacked Gabbert on third-and-11, but Tyler Brayton was called for illegal hands to the face, giving the Jaguars an automatic first down. Eight plays later, Gabbert hooked up with Dillard to make it 10-3. The Colts never got into serious position to tie the score again, and Orlovsky’s fumble and Jones-Drew’s scoring run wrapped it up. Does beating the Manning-less Colts this season count as a whole win?